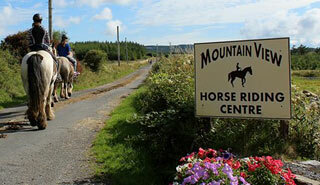 Welcome to Mountain View Stables. 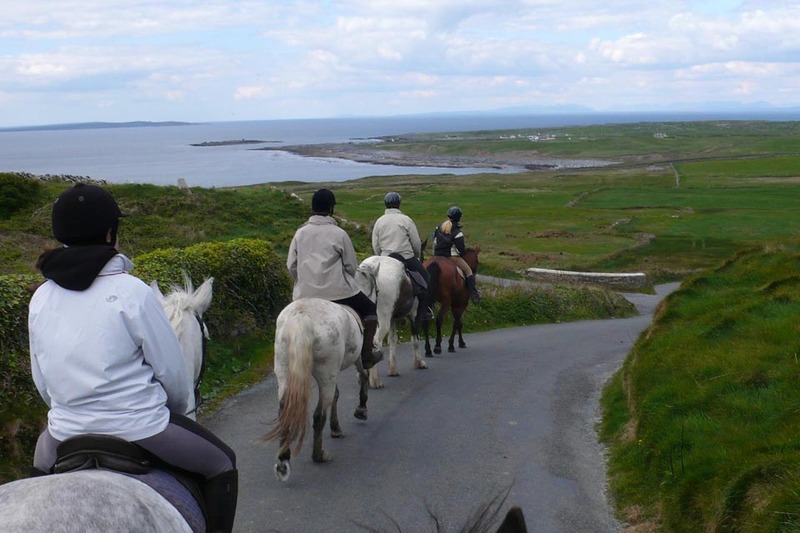 Come join Peter and his family and experience some of the best trails the West of Ireland and Wild Atlantic Way have to offer. Whether it's a fun time or an exciting and challenging hack you're looking for we have something to suit everyone. 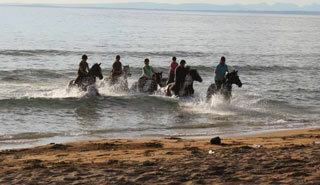 We cater for all riders, from young to old with all different levels of experience. Each of our trails is unique. 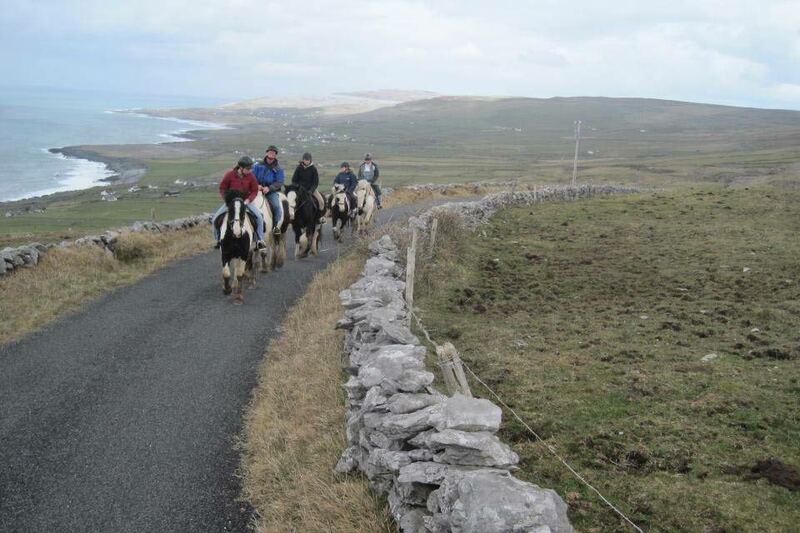 We trek through the woodlands, up the hills of Slieve Elva and along peaceful winding green roads into the world renowned Burren region. 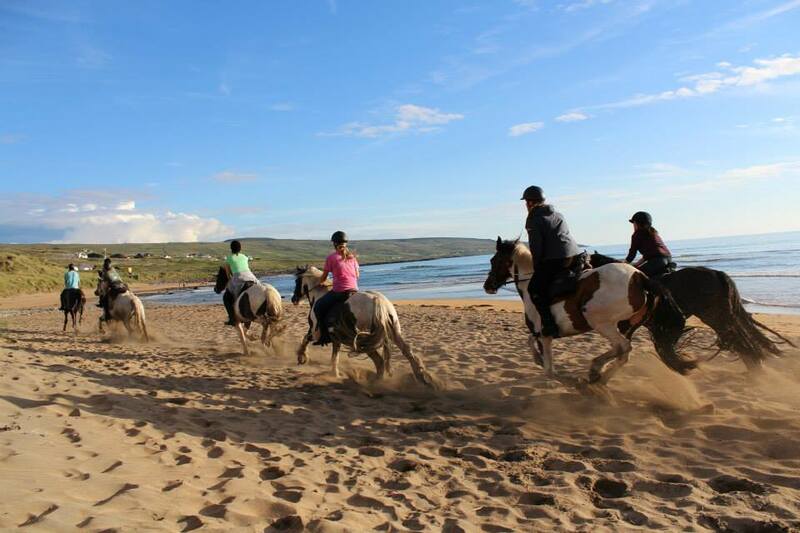 Live out your dreams and gallop in the waves on a nearby beach or trek up the mountains until you find yourself sitting over 1200feet above the the Atlantic, taking in panoramic views of the Cliffs of Moher, Aran Islands and Connemara Mountains. .
We are located just a few minutes away from Doolin Cave and a short 10 minute drive outside the seaside village of Doolin, world famous for its traditional music and craic. 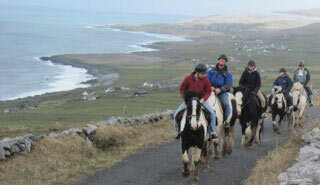 Doolin is an ideal base for exploring what the west of Ireland has to offer. Situated on the Wild Atlantic Way, it is home to the shortest ferry crossing to the unspoilt Aran Islands, it is just minutes away from the Cliffs of Moher and is the perfect base for discovering the magical landscape of the Burren. Come join us for a once in a lifetime experience!